Ahoy! 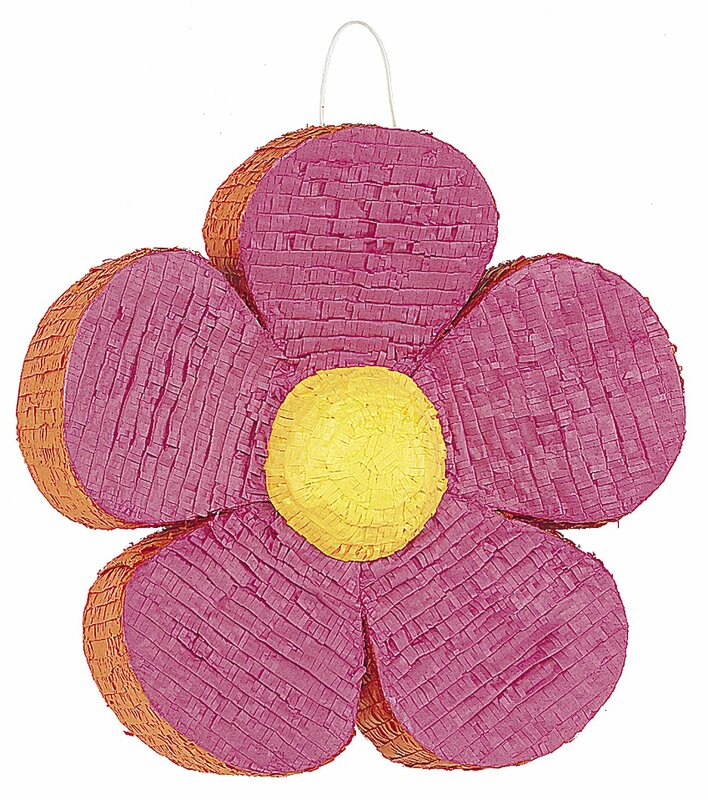 Your young buccaneers will love the party fun with this Pirate Pinata. 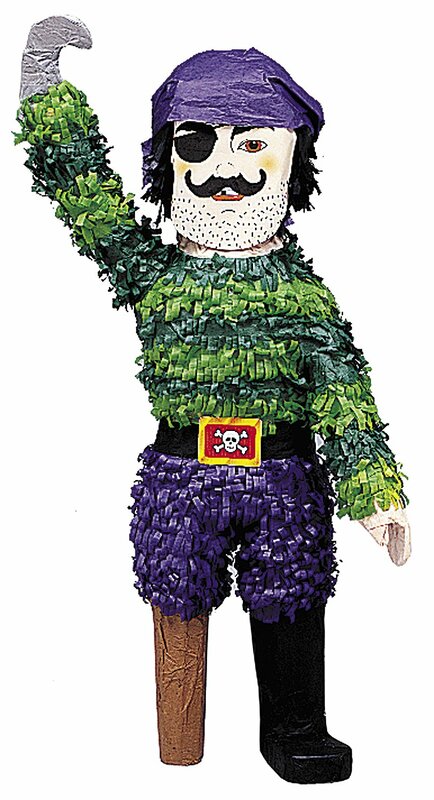 This pirate-shaped pinata comes complete with a peg-leg, hook and eye-patch. 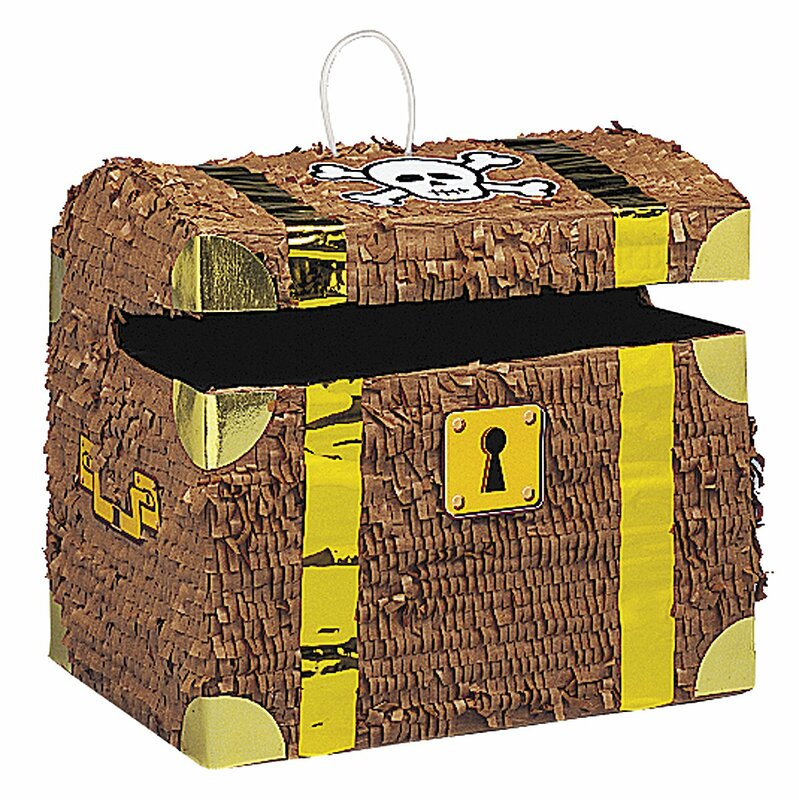 Simply fill the pinata with up to 900g (2lbs) of your own pirate bag fillers and goodies (sold separately), and have each blindfolded scallywag take a turn trying to break open the pinata to release the treats. 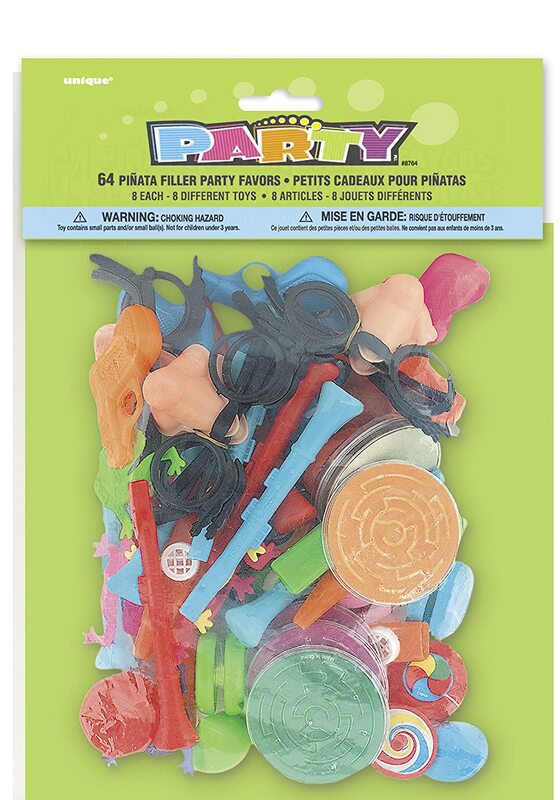 This Pirate Pinata also serves as a colourful pirate party decoration for a pirate party. 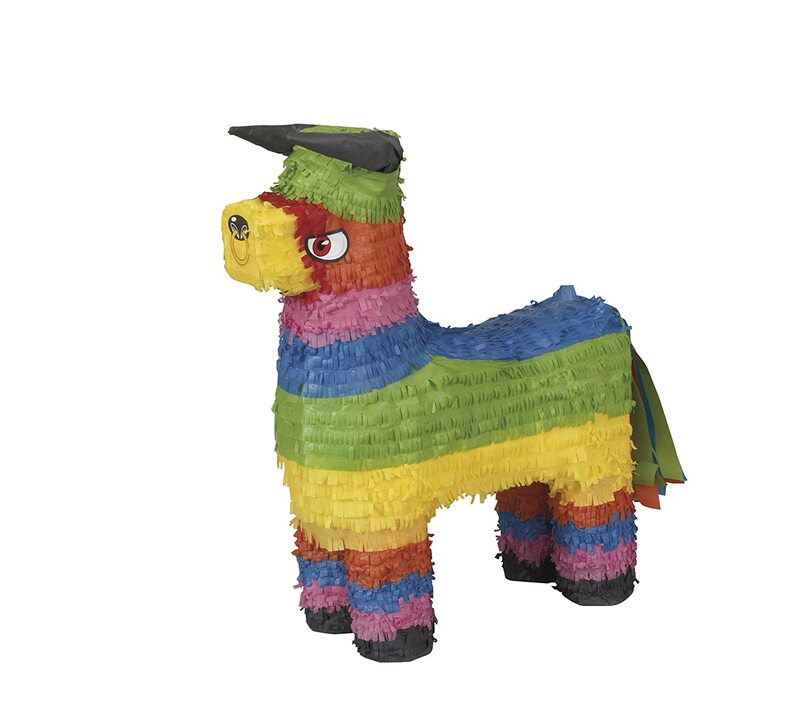 We bought this because of one utterly marvellous review which pointed out that it is really rather hard to break this pinata and that isn't perhaps the idea behind them. 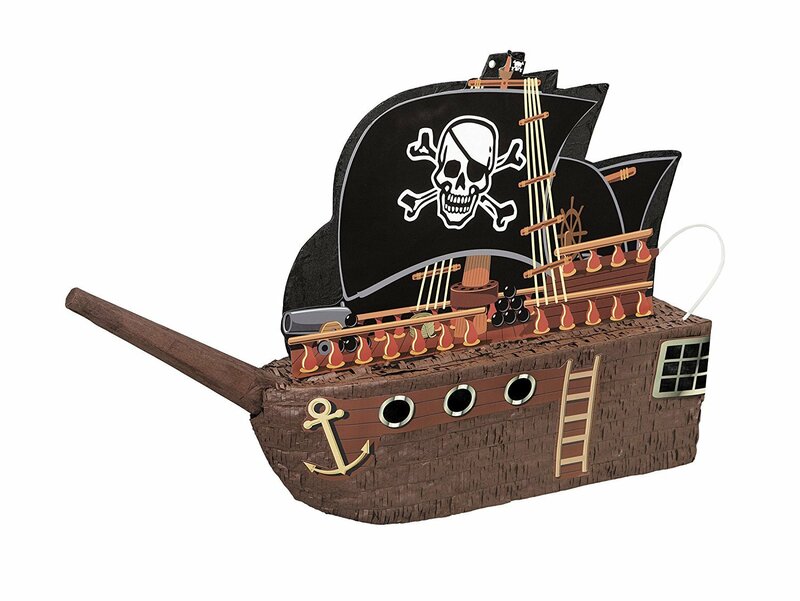 I would agree, it isn't, but filled with goodies and kids aged between 1 and 8 armed with boxing gloves, sticks and steely determination can have at this pirate chest for some time before it even begins to dent. 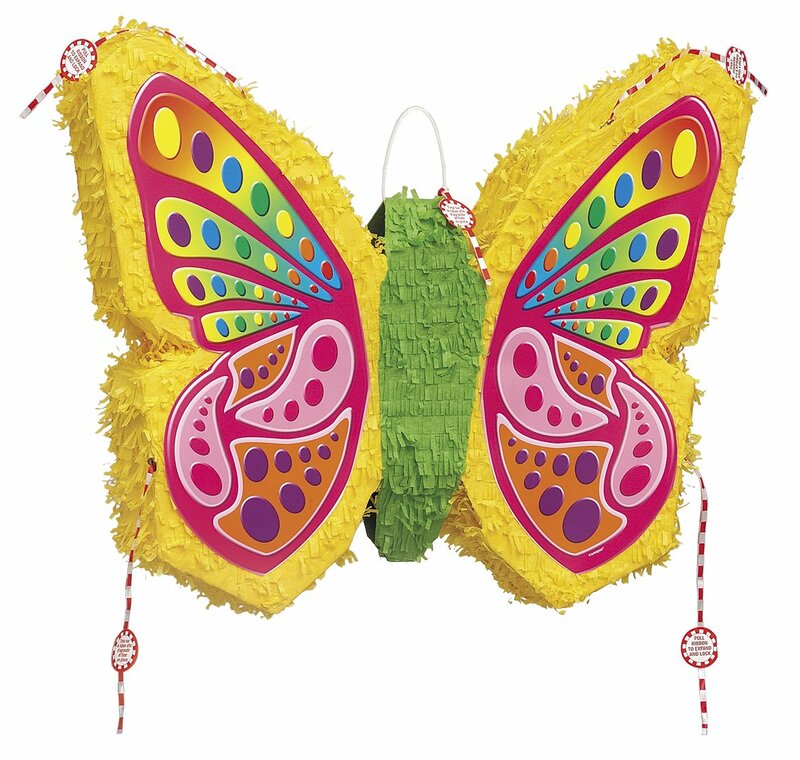 Indeed, I believe the hanging mechanism broke before the pinata did. So much fun. 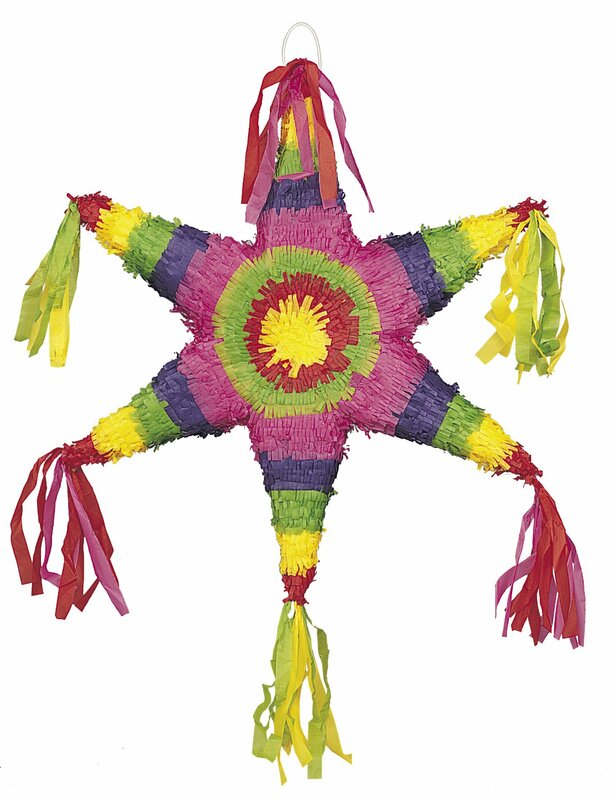 We would recommend, but not if you are looking for a pinata that will break with ease. 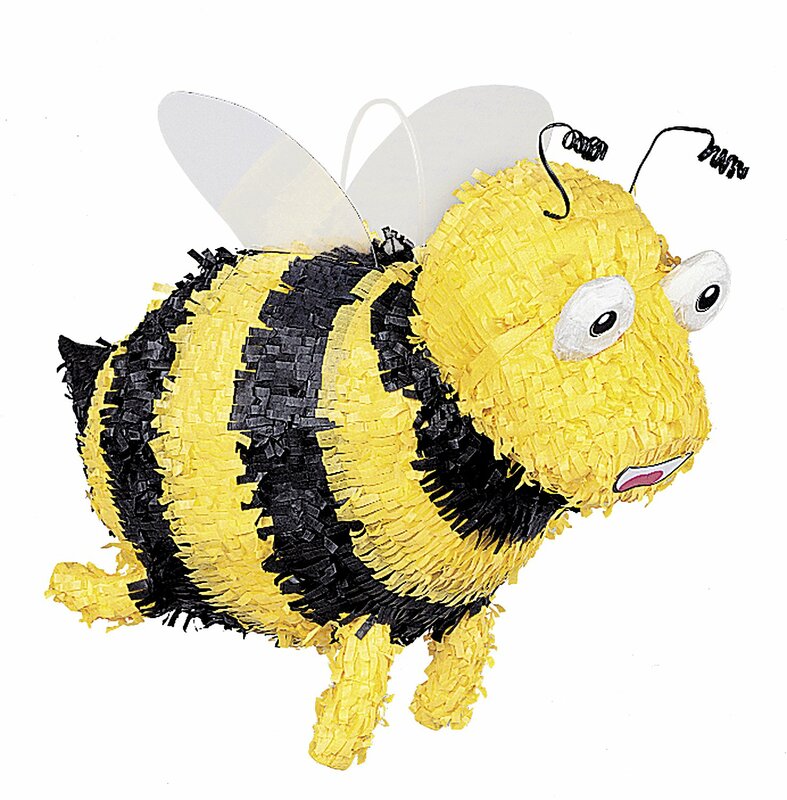 This is more of a pinata that will break with a great deal of effort, adult assistance and perhaps a knife. But before it does kids will have fun doing their best to destroy it. Cheaper than Sainsburys! These little guys are REALLY tough. The boys got so fed up trying to break it with the stick that they pulled it down and attacked it in the end! 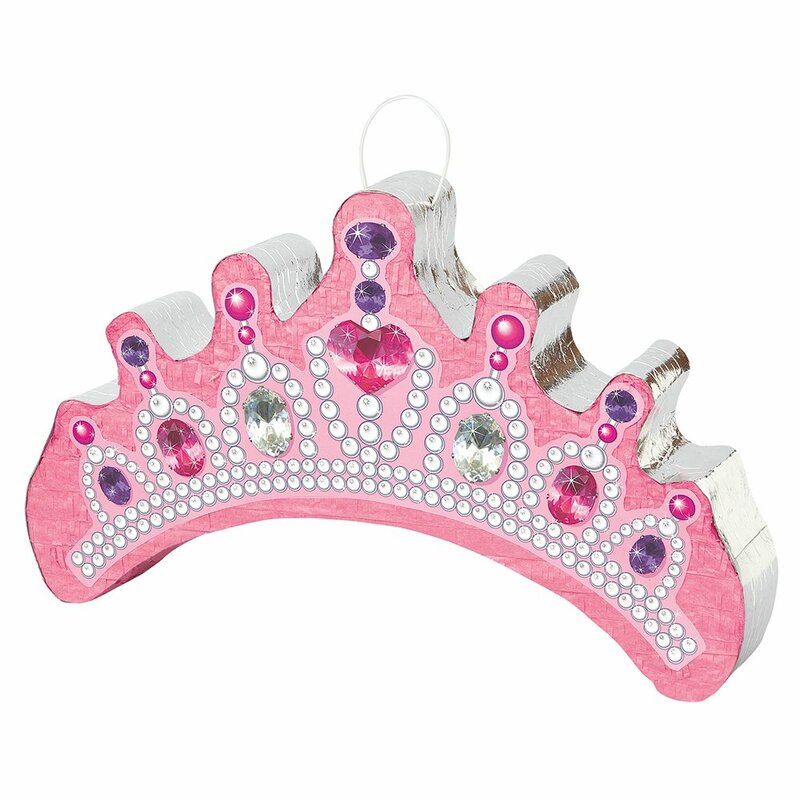 The girls had their own one and that was just as difficult to break. I think they probably attacked that one as well as I don't remember it falling apart. Perhaps it's actually too tough...? Anyway, it's made beautifully and looks amazing. Holds lots of tiny bits and pieces. There's no space for anything in the legs. Only the body. So choose lots of tiny things! 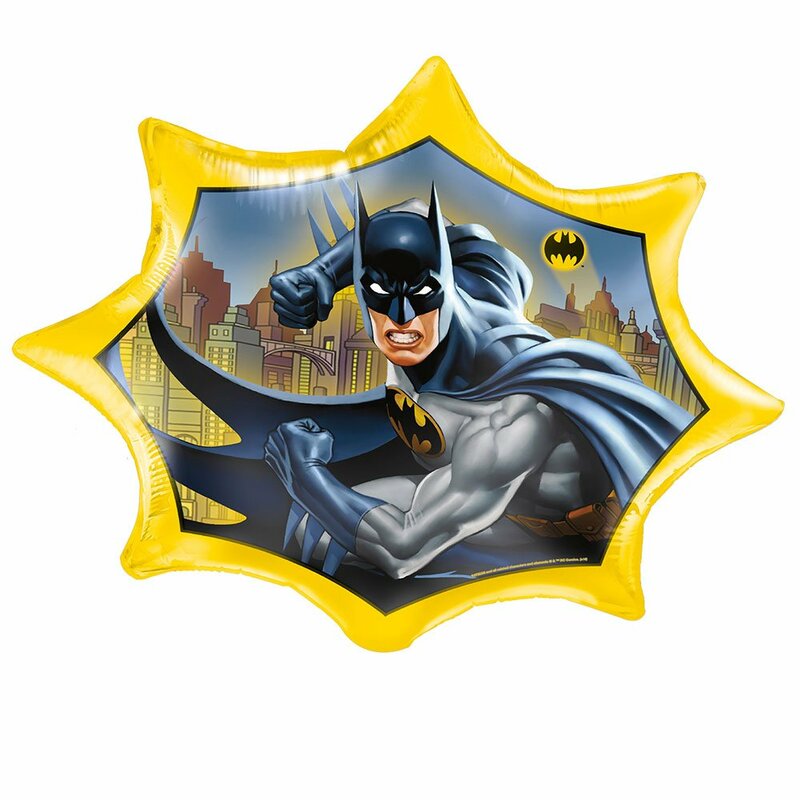 Bought this for our son's 9th birthday and it went down a storm! We had 24 kids ranging in ages from 1 - 13 and we got them to hit it according to age. It lasted until the second to last child hit it which was perfect!! The last boy didn't mind as he dove in first for the goodies! lol The only thing i can advise is don't buy massive things to go in it as the hole is only small. 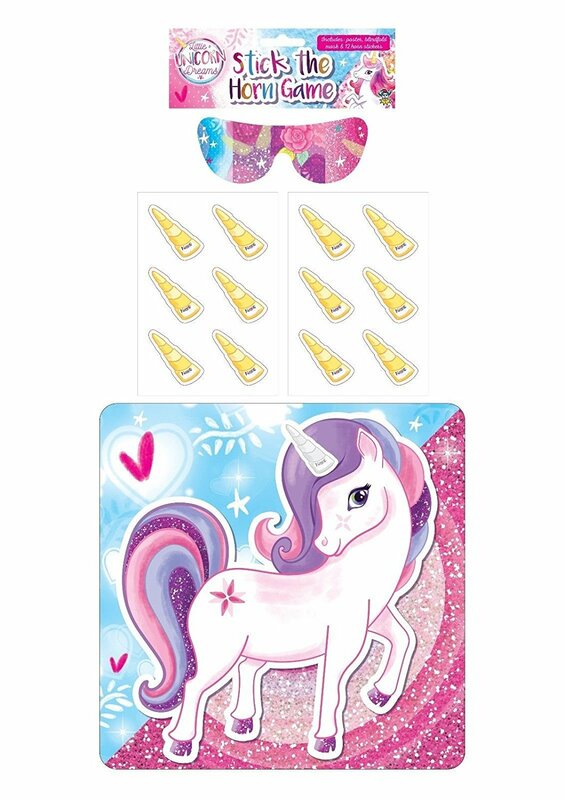 Lollies, stickers and small bits are ideal. 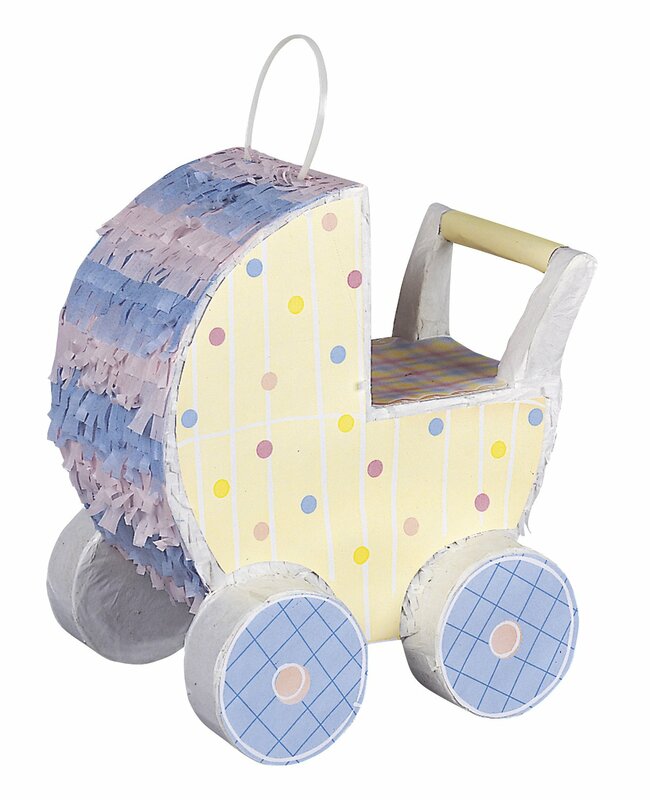 Some things we bought were too big so were wasted but apart from that it was fab! Looks better than in the photo, however on the smaller side. 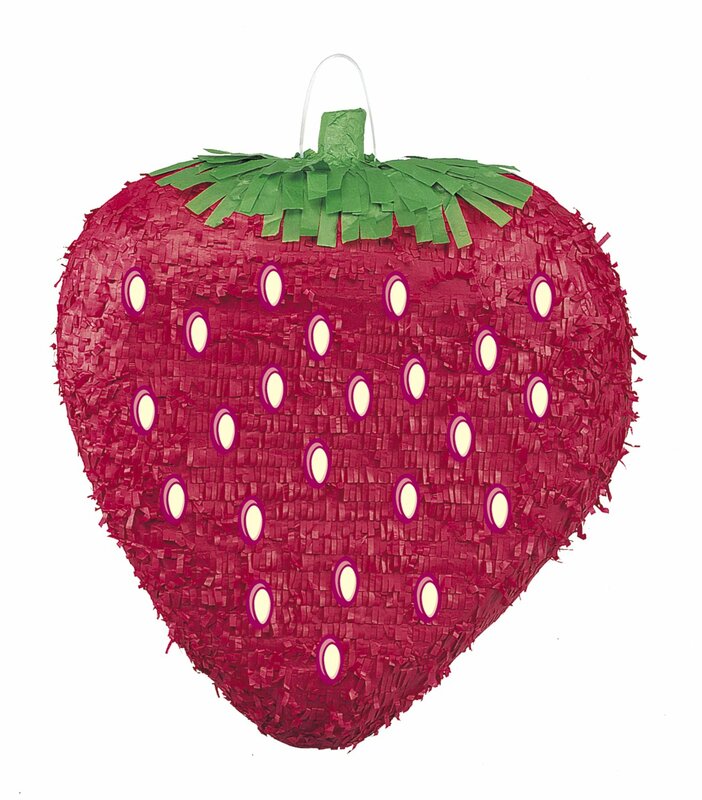 we stuffed the pinata with the sweets and it was enough for 8 kids to fill in the sweet bags - half full. 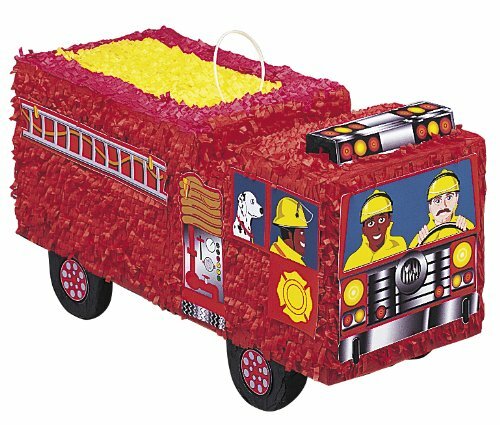 the only problem we had, was that the kids were hitting the pinata on the head. 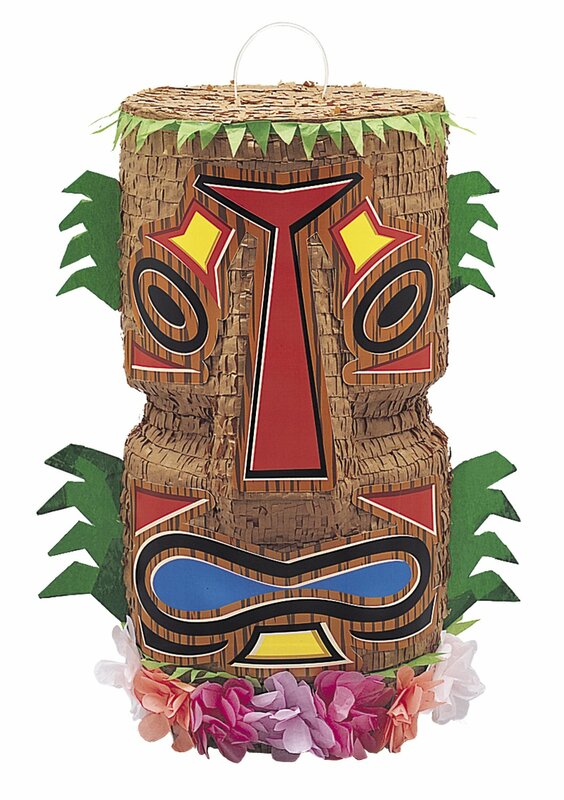 it turned out, the head is divided from the rest of the body by the thick cardboard inside. and there are no sweets inside the head due to the cardboard divider. so even if you manage to knock the head off, the sweets are still locked inside the main body. try to make sure to aim for the legs or main body. 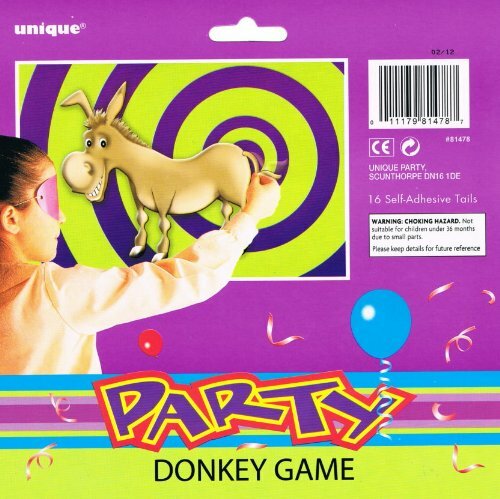 I bought this along with some friends for a friend's birthday as a joke. 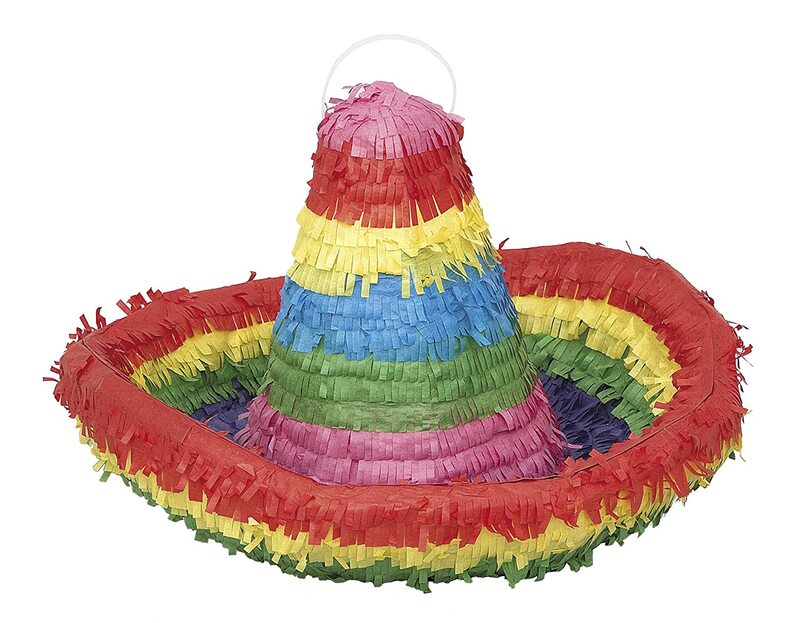 it was great fun and the piñata stood up to a fair beating before it broke! its only downside is that the filling hole is quite small (about 3cm by 3cm), this makes filling it a bit difficult unless you do a bit of surgery and make it bigger. overall a brilliant present and a great laugh. would recommend to anyone. 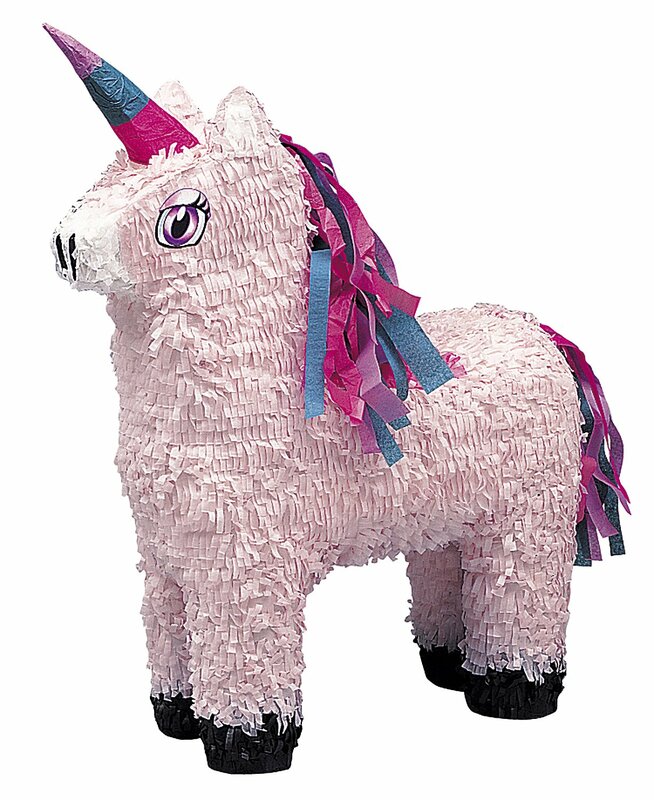 This unicorn pinata proved to be a great success at a birthday party I recently organised. It is very easy to fill and there is plenty of space for stuff inside. 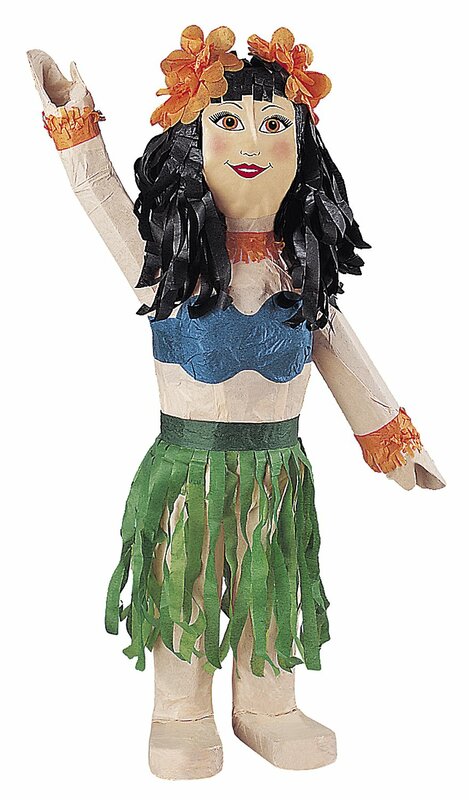 It also looks great, it is made from cardboard inside which you can't see until it is broken into which is nice. The only thing I would say is that it proved to be very difficult to open for the kids, There is so much parcel tape holding it together that in the end it took a couple of older brothers to break into it. 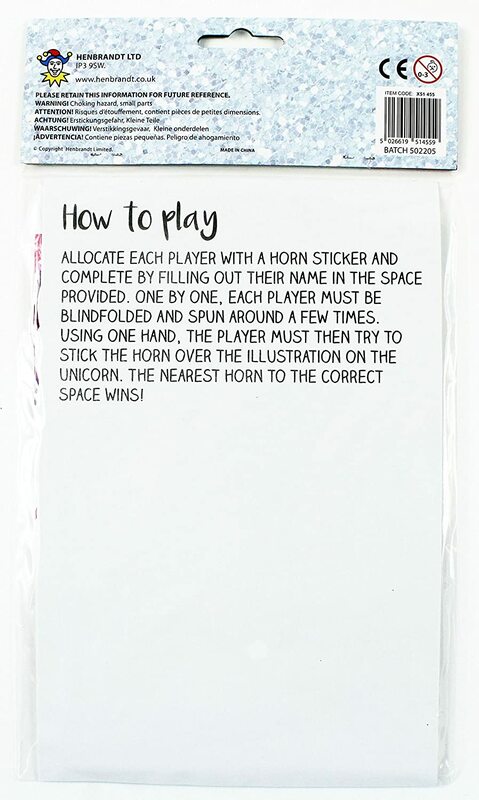 Which could be quite good if you want to keep them entertained for ages but they just ended up getting bored. Anyway very pleased overall and I would buy it again, I would make sure to keep some older children around to help break it! 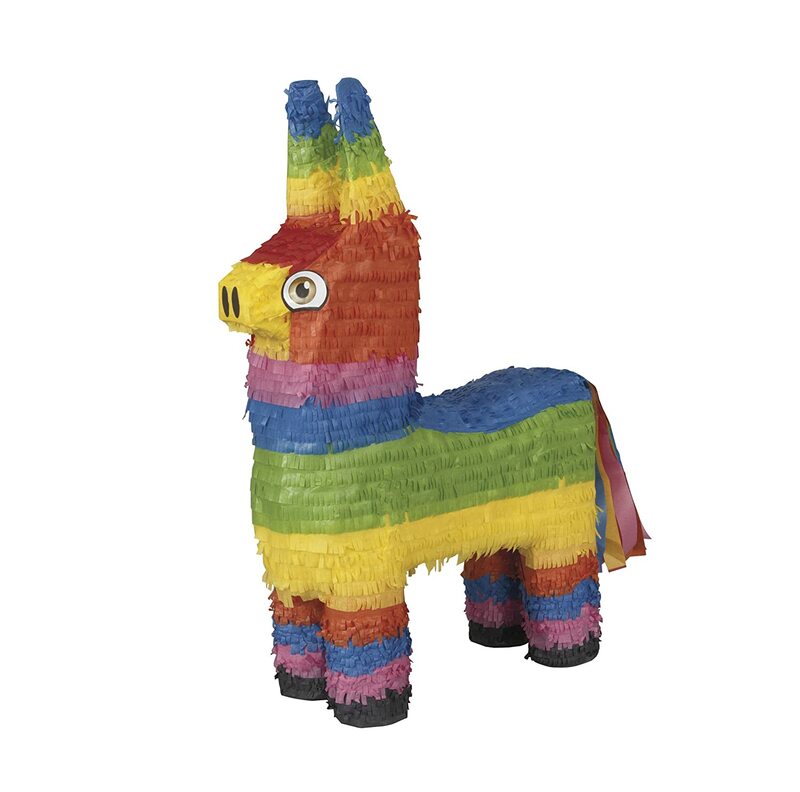 The prices is fine and fair for the kind of piñata that is. 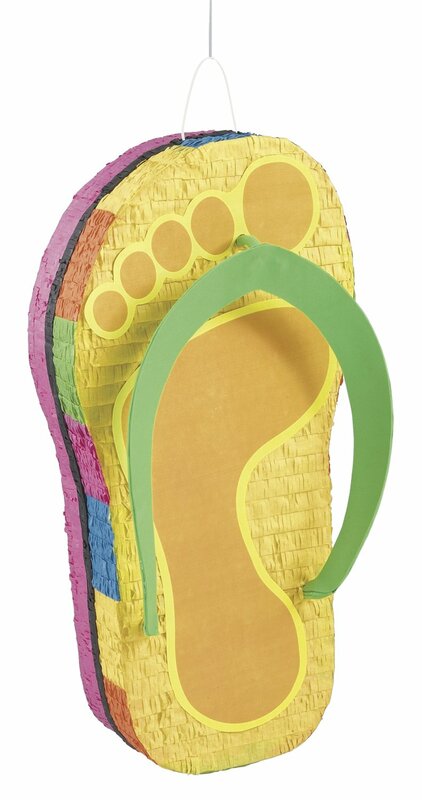 But, I am Mexican and I am very disappointed about this product. 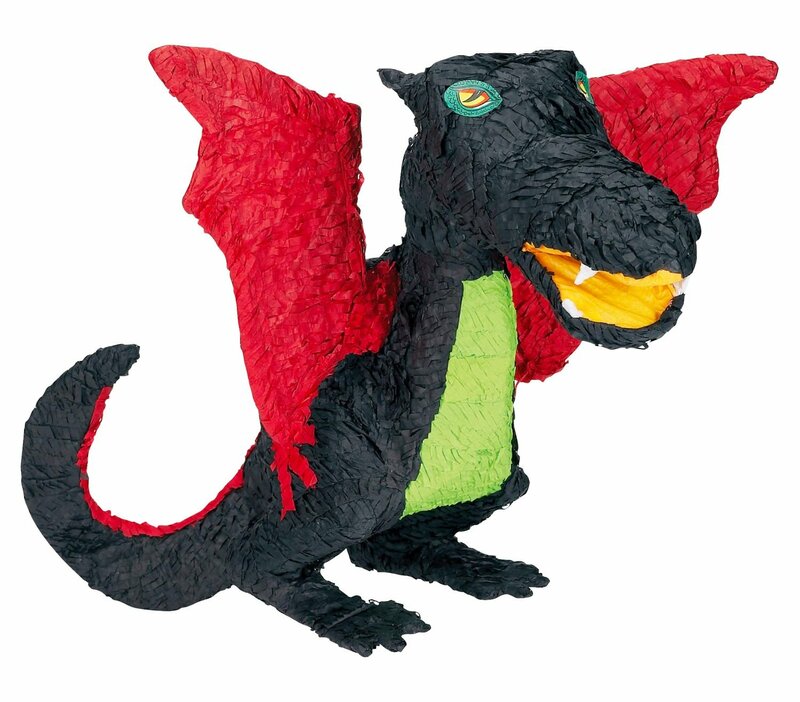 This is a flat piñata, and, they are not showing you this kind of picture, just for the front of the piñata. 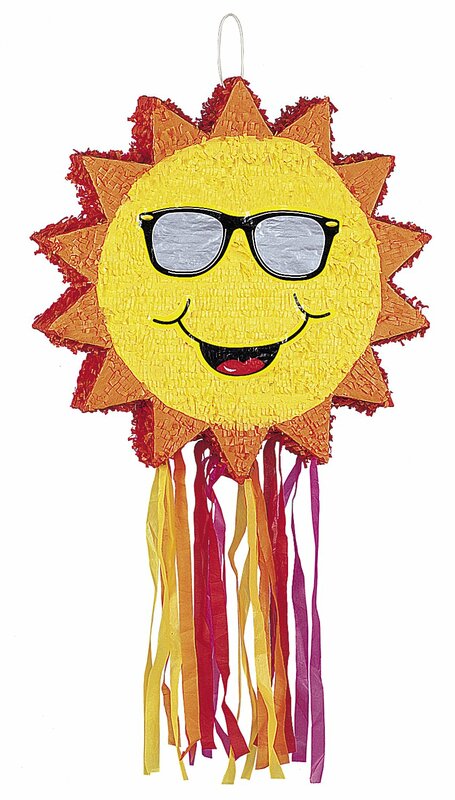 If I can know that this piñata was not created with a balloon (with more volume inside), and that this is flat, I prefer not to buy and buy another more a little more expensive. And, this is very small, I knew that this can be small, but, when you can see this, you have the feeling that is more small than you thought.